Harmonito Dela Torre of the Philippines fights the undefeated Yongqiang Yang of China in the undercard of Pacquiao-Matthysse on July 15 at Axiata Arena, Kuala Lumpur in Malaysia. Dela Torre coming to this fight with a record of 19 wins with 12 victories by way of KO with only 1 defeat. Dela Torre is one of the top prospect of SanMan Promotions and now gunning for his best possible fights. Nicknamed Hammer and only defeated by the highly rated Tugstsogt Nyambayar via UD on his last fight. 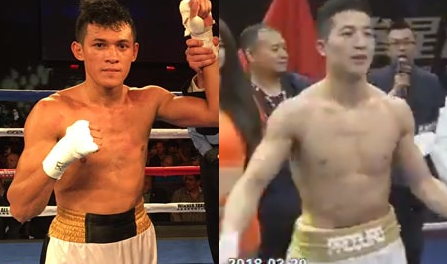 On the otherhand, Yongqiang Yang of China is also a highly rated fighter with an undefeated record of 10 wins with 7 victories by way of KO's. 26 years old and been in tough fight againts veteran Takuya Watanabe in his last fight but he won via unanimous decision.